I have a thing for sweet harmony of any type, but not all harmonies are created equal – or should be. And though there are many factors which can affect how voices blend – from range to accent, from tone to purity of voice – gender pairing has much to do with the fundamental possibilities which can emerge from singing together. More often than not, strong male/female duos and mixed-gender groups produce a study in contrast, leaning heavily on the contrast between their vocal range and tone – see the newest work from Isobel Campbel and Mark Lanegan, or go way back to Gram Parsons and Emmylou Harris, to hear what I mean, or look at the delicate intertwined harmonies of Gillian Welch and high tenor David Rawlings as a counterexample. Similarly, it takes few examples to explore male groupings: unless we’re talking about sibling and siblingesque groups like The Everly Brothers or The Beach Boys, from CSNY and The Eagles to Simon and Garfunkel and The Brilliant Inventions, the goal here is to meld disparity into beauty, and when it works, it really works. Female singers, on the other hand, generally produce a tighter sort of sound. The American trio Red Molly, for example, who we’ve featured often on these pages, come across with beautiful chords; meanwhile, duos such as the Watson Twins or First Aid Kit soar together up and down their respective approaches to melodic folkpop. 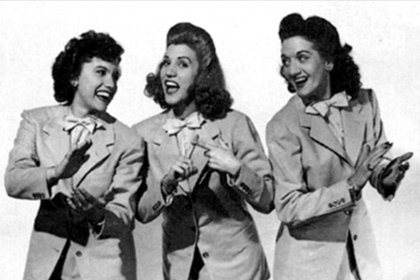 But despite its relatively sparse population, I find that a number of my favorite all-girl folk groups come from Canada, a.k.a. America’s Hat. Maybe there’s something in the water; maybe there’s something about those long winter nights far from the equator that brings the ladies together for practice to make perfect. Regardless: we’ve featured duo Dala plenty in the past few months, thanks to their appearance at this summer’s Falcon Ridge Folk Festival, but here’s a triplet of strong tripartite partnerships from North of the border which have been tickling my fancy lately. I discovered Juno-award winning trio The Good Lovelies quite recently, through their appearance on fellow Canadian girlgroup Dala’s live 2010 tour-de-force Girls From The North Country; seeking them out via the usual channels revealed a charming but small collection of CDs chock full of delight, and I’d recommend any and all to anyone. Their acoustic-driven songs have a retro girl group flavor in places, tending towards the smiling sweetness of the Andrews Sisters, while other tracks echo the forthright heart and heartiness of the Dixie Chicks at their best, but even beyond their penchant for bells and guitar-based instrumentation, there’s something eminently down-to-earth and delicate about them that rings folk to me. 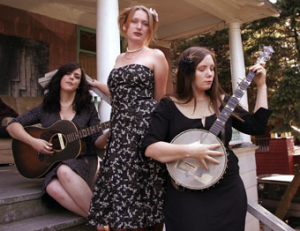 The Be Good Tanyas have been on my radar since their inception, thanks to local radio station WRSI, which played their debut Blue Horse to death when it first hit the scene in 2000. Two albums later, with nothing new on the shelves since 2006, member Franzey Ford has just emerged with a strong debut solo disc, while long-gone founding trio member Jolie Holland continues to tour to support her own haunting catalog … but hiatus or not, the three sparse, old-timey, blues-and-americana-tinged albums the Vancouver trio produced so far remain high on my eternal playlist, and for good reason. 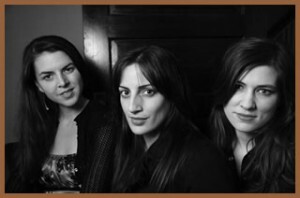 Longstanding folk mainstays The Wailin’ Jennys hail from “Canada’s heartland”, and it shows: theirs are campfire harmonies, rich and fluid, sweet but with a hint of breath and smoke that are well worth celebrating. Their newest release, 2009′s Live at the Mauch Chunk Opera House, is a stunning collection, with strong covers and originals from a trio already long overdue for prominent placement in the pantheon of great modern folk acts after just a handful of albums. I’ve posted their gentle, gorgeous cover of Neil Young’s Barefoot Floors several times, most recently atop our recent Covered In Kidfolk feature on lullabies, but any chance to prove that they’re not just a one-trick pony is welcome, indeed. I was born January 14, 1973, on the cusp of the disco age, and amidst the last true gasps of the sixties. Though my father’s music was primarily blues and folk — the authentic, soulful stuff which I would return to in my own adulthood — for me, growing up in the eighties meant a childhood exposure to late Bee Gees and the early Michael Jackson, followed by a middle school passion for Howard Jones synthpop and Depeche Mode electronica; later, in my adolescence, I would turn to the growing anti-grunge movement like a dork to water, with a minor in early hip hop. Which is to say: like so many of us, I spent my formative years rejecting the past of my parents, instead looking outward to the larger culture for my musical self. And, because what was out there was the shifting, constantly prototypical product of a culture in high transition, so has my own musical path from there to here been broad and diverse. My path is not so unique, surely. Inasmuch as we are all a product of our own time and experience, from our secret vices to our public tastes, much of our adult habits of listening can be traced to that which we lived through, and which of it we tried on for size. Music defines so much of who we are, the comfort and contentment which comes from finding our own sound is surely as much a recognition of the self, as played out in the folkways of the world. And if anything explains the itch towards coversong, it is perhaps the desire to own both the external culture and the household stereo, and in doing so, collapse the distance between the authentic prodigal self and the cultural reality that we watched for cues as we grew. Because musicians are people too, it is unsurprising to find that the vast majority of popular musicians who were born in the same year as myself tend towards the sounds of our mutual adolescence, both in cover choices and in genre of play. A quick perusal of the list of notable musicians born in 1973 reveals an overwhelming preponderance of rap production from the likes of Nas, Pharrell, and Mos Def, and that curious post-grunge, neo-anthem rock that characterizes Creed, Slipknot, and Incubus, all of which have one or more members turning 36 this year. But every generation has its diversity, and here at Cover Lay Down we appreciate folked up covers of rap and rock as much as we celebrate those performers who, like myself, have settled their selves towards a more intimate sense of self in song. Today, then, in honor of my birthday, we present songs recaptured by people just my age — a set of coverfolk of and from my “lost generation” contemporaries, mining their own experience for tribute, recapturing other histories in song from the lips and hands of their influences. Enjoy. 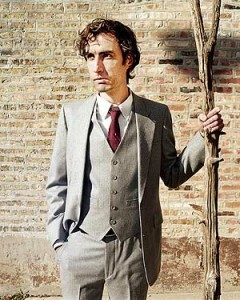 I’m especially pleased to find indie darling and concert whistler Andrew Bird (b. July 11) on my contemporaries list, as I’ve been looking for an excuse to do the research ever since I fell in love with his more genre-bending post-americana work via the blogworld. Bird has plenty of folkcred — he was an instructor at the Old Town School of Folk Music — and he plays like a man with a keen sense of folk history even as he pushes the boundaries of what it means to use the fiddle as a solo performer. I shared Andrew Bird’s cover of tradsong Jesus Gonna Make Up My Dyin’ Bed (aka Trimmed and Burning) in the midst of Dylan covers week over at Star Maker Machine a few months back; the links are dead there, but the text is worth the visit. Here, he shows his true roots with a few more haunting takes on songs deeply rooted in the folk canon. 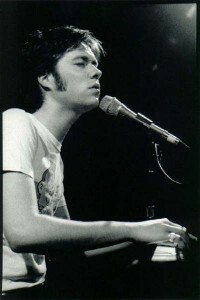 We featured Rufus Wainwright (b. July 22) here at Cover Lay Down over a year ago in our first Folk Family Friday, an ambitious attempt to consider the musical output of the entire Wainwright/McGarrigle clan. I remain ambivalent about Rufus as a performer, not least because his torch songs can get too sappy for my taste. But his more subtle work stands out as worthy of our generation, especially when tempered by strong collaboration, and his acoustic cover choices are generally well-suited for his languid, slippery vocal style and reedy tenor. 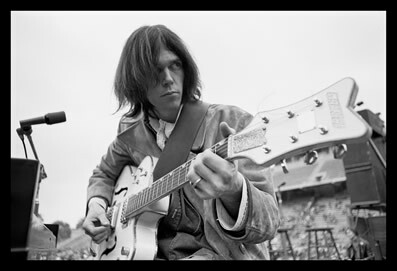 Here’s three duets; the work with his sister martha on their father’s song is a lovely conceit, and anything with Teddy Thompson is always wonderful, but I’m especially fond of the co-bill Neil Young cover with Chris Stills, off the popular KCRW studio sessions compilation Sounds Eclectic: The Covers Project. Not all performers trend solo, of course. Though both Annabelle Chvostek (b. October 5) and, to a lesser extent, drummer Caroline Corr (b. March 17) have worked on their own, these lovely ladies of folk are much better known for their work with female-voiced folkgroups The Wailin’ Jennys and The Corrs, respectively. The Irish folk rock which The Coors have made their own isn’t as much my cup of tea as the acoustic singer-songwriter trio harmonies of The Wailin’ Jennys (or, for that matter, the recent solo disk from alto Chvostek, which is spare and lovely), but from the Celtic dancepop mix of Fleetwood Mac cover Dreams to the crooning lullaby that transforms Neil Young’s Barefoot Floors, these are all worth the listen, as song and coversong. 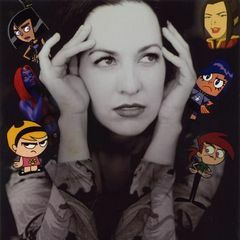 Finally, Grey DeLisle (b. August 24) is generally known as a voice actress more than a songstress; if you’re into that sort of thing, you’ve heard her on such animated programs as Kim Possible, The Grim Adventures of Billy & Mandy, and Harvey Birdman. But DeLisle’s 2005 Sugar Hill release Iron Flowers is a masterpiece of otherwise-originals that kicks off in style with a delicate autoharp and slide take on Queen anthem Bohemian Rhapsody – I just couldn’t let it go overlooked. Cover Lay Down posts new covercontent and folkfaves every Wednesday, Sunday, and the occasional otherday. Coming soon: New coverfolk from some up and coming inbox artists, including a few discoveries from this weekend’s Boston Celtic Music Festival…plus a very special look at several well-respected songbooks — stripped down, unplugged, and all folked up.